Super Scary True Video of Price Rises on the Grid: Halloween Special! I thought I would share this two-minute video about coming price rises on the New England Grid. Super-scary for Halloween, and true! Video is about two minutes long: from WWLP in Massachusetts. I will be giving more details (and a broader view) of price rises on the grid in my upcoming webinar on November 6: the Myth of the Polar Vortex: Winter Electricity Prices Pressures and Responses. I hope some of you will attend. Register now! Meanwhile, enjoy the video. This video is a good way to get scared, even without benefit of spooky music. As the planned shutdown of Vermont Yankee approaches, it is tempting to consider Vermont Yankee “old news”. The Big Decision – closing the plant – has been made, so the rest is just housekeeping, right? What I learned at two Oct. 23 public meetings held on opposite sides of the Connecticut River suggests otherwise. Decisions of great importance to our economy and public safety remain. At the second meeting, held at night directly across the river from brightly-lit Vermont Yankee in the gym of the Hinsdale NH High School, about 70 Granite State residents learned what decommissioning will mean to them. Perhaps the most interesting topic was Vermont Yankee’s plan to move all spent fuel into “dry casks” within six years. Dry casks are the gold standard for used fuel storage. Vermont Yankee could have just opted to keep much of the fuel in a pool at the plant– as permitted by the U.S. Nuclear Regulatory Commission and commonly practiced nuclear plants. But Vermont Yankee is going the extra mile, and spending the extra dollar, to respond to the public wish for maximum safety measures. According to one expert presenter, dry casks make their contents about as secure as humanly, physically possible. Consider this: in actual tests, they have been rammed by a speeding locomotive, impacted the ground at over 200 miles an hour after being dropped from thousands of feet, and loaded onto a flatbed truck that is then rammed into a concrete wall at 80 miles per hour – and in every case the casks remained intact and their contents unspilled. They have been designed to survive the practically untestable, such as an attack by F-16s and a collision with a 350 MPH airplane. The dry casks at the Fukushima plant – perhaps the greatest “real world” test of any nuclear power plant to date – were completely unharmed. The Vermont Public Service Board met Oct. 29 to discuss Vermont Yankee’s request for construction of another concrete pad for dry cask storage, a prerequisite if this safety-enhancing measure is to become a reality. The PSB’s eventual yea or nay is just one of those crucial decisions looming in the future. So is any decision by any stakeholder – state, corporate, or policy advocate - that threatens to unravel the Master Settlement Agreement, on which depends not only this year’s $2 million, but an additional $8 million over the next four years. Vermont wants economic development. We want the safest spent fuel storage humanly possible. Whether we get these outcomes depends on many decisions yet unmade. Stay tuned, and stay involved. Guy Page is the communications director of the Vermont Energy Partnership (VTEP), a coalition of about 90 Vermont not-for-profits, businesses, utilities, labor organizations, development agencies, and individuals committed to a clean, safe, affordable and reliable power policy for Vermont. Entergy – Vermont Yankee is a VTEP member. Page writes frequent guest posts at this blog. His most recent post describes A Civilized Meeting about Vermont Yankee. I attended Solarize Hanover at the high school Thursday evening, an event put on by many well-intended neighbors. To fight global warming from CO2 emissions they recommend rooftop PV solar panels for electricity that our utility company, Liberty, would otherwise generate from natural gas. An investment of $20,000 for a 5 kilowatt-peak-power PV system would “net" 6000 kilowatt-hours per year of electricity. At about 15 cents/kWh otherwise paid to Liberty this saves the homeowner $900. Solarize Hanover claims an investment payback of 7-12 years. This is only possible through extensive subsidies. Almost half of the $20,000 is recovered by tax credits, placing that cost on other citizen taxpayers. Other Liberty utility customers also provide a subsidy because of “net” metering. On sunny days the PV solar panels indeed generate 5 kW of power for a few mid-day hours, but the average household consumption is only about 1 kW, so roughly 4 kW of the power (80%) is sent back to Liberty, which is required to buy it at the 15 cents/kWh rate. This raises Liberty’s costs, because it would normally buy cheaper electricity from hydro, nuclear, or natural gas generators at about 5 cents/kWh. This raises rates Liberty must charge other customers. This other-customer subsidy is roughly 80% x (15-5) cents/kWh x 6000 kWh = $480 per year. CO2 emissions saved by avoiding burning natural gas for electricity are 333 grams/kWh, so each such Solarize Hanover home reduces emissions by 6000 x 333 grams = 2 tonnes of CO2 per year. World CO2 emissions from coal-fired generation of electricity are 10 billion tonnes/year and are expected to double as developing nations prosper. Dr. Robert Hargraves is the author of Thorium, Energy Cheaper than Coal and an occasional guest blogger on this blog. I have always been particularly fond of his humorous post: Vernon, New Hampshire? 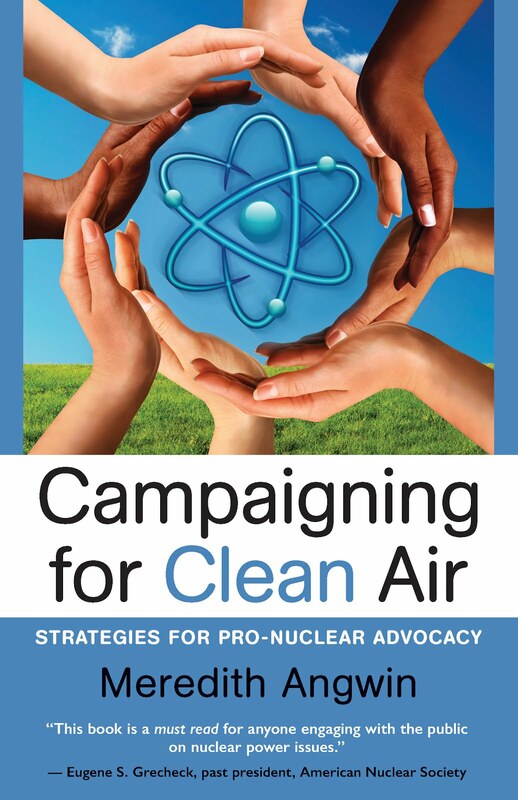 He is also the author of many more scholarly works, and I recommend his website on radiation safety limits. Exposure limits for radiation should be set a lot higher than they are currently set. This post appeared as a letter to the editor in the Valley News, October 28. However, the Valley News edited out the sentence on the calculation of other-customer subsidies. This is the complete letter. New England electricity is too dependent upon natural gas-fired power plants. And we are about to pay a lot for that dependence. In recent days, several New England utilities have announced major price rises for electricity. In Massachusetts, National Grid said that its customers can expect a 37 percent rate increase in November. Liberty Utilities in New Hampshire announced that there will be a 50 percent rate increase, and Unitil, which serves Massachusetts, Maine and New Hampshire, announced a price rise that will add over $40 a month to the average home electricity bill. These companies explained that the rate increases are due to the increasing cost of power on the grid. Why is the grid cost increasing? Part of the reason is supply and demand. Supply has decreased. Vermont Yankee (nuclear) and Salem Harbor in Massachusetts (coal) are shutting down and will not be available this winter. During the high demand resulting from the polar vortex in early 2014, New England needed about 20,000 megawatts of power. The grid barely scraped up enough to meet the demand. This year, 1,000 megawatts, or five percent of that power, is going off-line, and no new power plants have been built. But perhaps a bigger problem is that the New England grid is far too dependent on natural gas. During the polar vortex cold snap, which affected all of New England, many natural gas power plants could not get enough gas to operate. It was being used to heat homes. New England is often described as “pipeline-constrained”: There are not enough pipelines for the natural gas we need. The grid operator, ISO-NE, a nonprofit company, is responsible for ensuring a reliable electric supply on the New England grid. The way the grid operates is that some plants keep running steadily all the time. The steady-operation plants are nuclear, coal and some of the natural gas facilities — basically, plants that operate on a steam cycle. When demand is higher than these plants can supply, it is met by putting more gas-fired plants into service. However, last winter, many gas-fired plants could not operate. ISO-NE foresaw this natural gas supply crunch and had a “winter reliability” program in place. It paid $70 million to oil-burning power plants to keep oil available to burn. This was a “capacity” payment. That is, the plants were paid just to have oil on hand. (This payment also increased our electric bills.) But during the polar vortex power crunch, the oil was not enough, and some jet fuel was also burned to make power. In other words, over-dependence on natural gas led to expensive alternatives: oil and jet fuel. 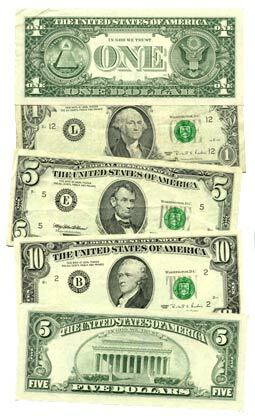 Using these fuels caused major price increases. Also, even without the crunch, the price of natural gas itself has doubled since its low point in 2012. The two issues (supply and diversity of fuel sources) are going to intersect again this winter. With two power plants closed, a cold snap this winter will require more oil and jet fuel than was required last winter. Utilities are getting their rate increases lined up to deal with the coming price spike. What about my own local utility? I live in Vermont, and Green Mountain Power (GMP) told the press recently that because of its “efficiencies” it has lowered prices and will keep them low. I do not believe prices will stay low in Vermont. GMP is subject to the same factors that affect the other utilities. It buys much of its power on the same markets. GMP also has large contracts with Hydro Quebec. Unfortunately, these are “market-follow” contracts. When the market price rises on the grid, Hydro Quebec will also raise the price that it charges GMP. Back in 2010, I wrote blog posts on how the new market-follow contracts were “a bad deal with Hydro Quebec.” This winter, I suspect we will find out just how bad a deal they are. What about renewables? For many reasons, renewable build-out is not happening very quickly. As of last year, less than 10 percent of Vermont’s in-state electricity generation was by renewables, not counting hydro. Also, renewables are generally paired with natural gas (gas-fired plants are turned on when the wind dies down or the sun sets). So renewables are not going to be much help right now. I was recently elected to be on the coordinating committee of the Consumer Liaison Group of ISO-NE. Along with 120 people from all over the Northeast, I attended its quarterly meeting in September. Everyone there seemed to have a tale of when the big price rises would hit their local utilities. Many are planning major price increases in January 2015. What shall we do about these price spikes? Just as in our private lives, diversity is important. I think we need to be willing to accept diversity on the grid: nuclear plants and coal plants. Natural gas is an excellent fuel, but it seems to be the one and only fuel acceptable to many people. However, what is happening on the grid right now is a classic illustration of the old saying: “Don’t put all your eggs in one basket.” Our grid is close to just one basket right now (over 50 percent natural gas). The winter is coming, and power will be expensive if any eggs drop. 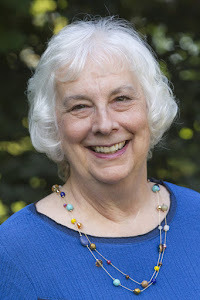 Meredith Angwin of Wilder is a physical chemist who worked for electric utilities for more than 25 years and now heads the Energy Education Project of the Ethan Allen Institute. This op-ed was published on Oct 12, 2014 in the Valley News. Valley News artist Shawn Bradley provided a clever graphic of Reddy Kilowatt flipping a switch to raise rates. 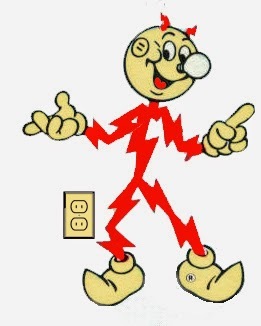 In honor of that graphic, I included a classic Reddy Kilowatt graphic on this post. The op-ed was also published on the Vermont Digger website on October 21. The article has quite a lively comment stream. Energy Northwest produces reliable, affordable, environmentally responsible electric power and delivers it to Northwest public power utilities at the cost of production. 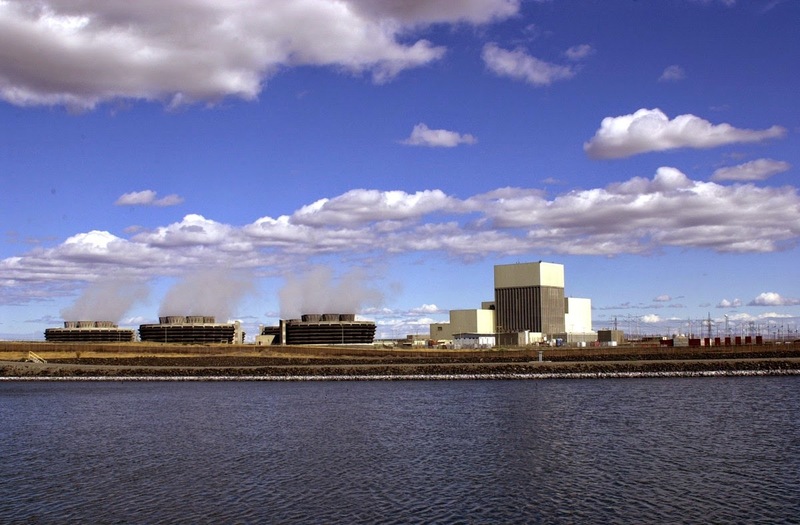 Energy Northwest owns Columbia Generating Station, which generates 1170 MW (nuclear). The company also owns hydro, solar and wind facilities. Energy Northwest definitely delivers clean energy: so Northwest Clean Energy is a very appropriate name for the blog! My first post was an overview of Electricity in the Northwest. My most recent post is about two women in the Northwest who have very different careers in nuclear energy: Northwest Women in Northwest Nuclear Energy. Both women are engineers. Wanda Munn worked at the Fast Flux Test Facility, and Kaitlin Carter works at Columbia Generating Station. I enjoyed interviewing them and writing the blog post, and I hope you will enjoy reading it. Another post, written by Laura Scheele of Energy Northwest, describes the new Demand Response pilot project. The Northwest wants to move away from complete reliance on the giant hydro projects for system balancing. 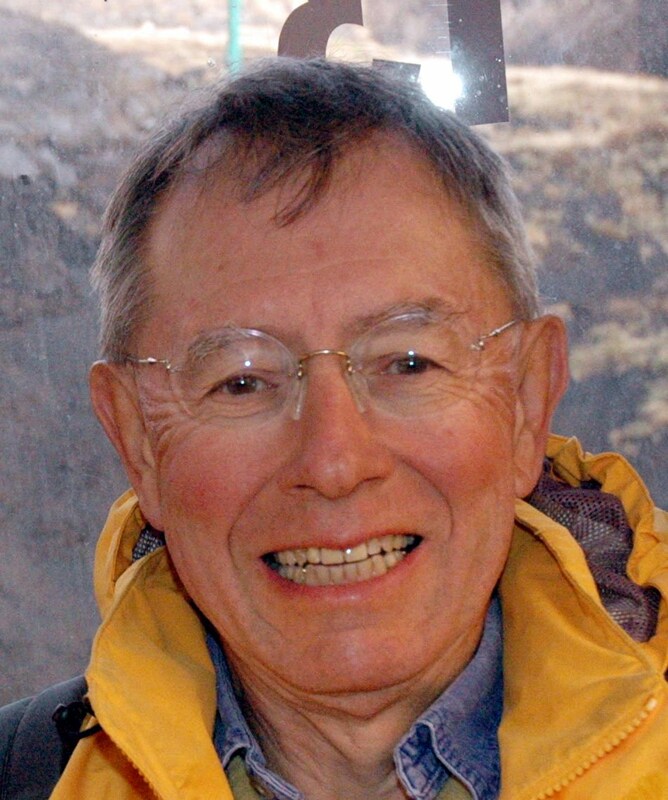 Another post, written by Dan Yurman for his own blog, Neutron Bytes, describes the potential use of SMRs (Small Modular Reactors) in the Pacific Northwest: Tri Cities seeks SMRs for post clean up future. The Northwest is quite different from Vermont. For example, when Columbia Generating Station got its NRC license renewed, Washington State Governor Christine Gregoire visited the plant to celebrate. The equivalent didn't exactly happen in Vermont (sarcasm alert). Also, the Northwest is a traditional home of nuclear research (Idaho National Laboratory, Pacific Northwest National Laboratory). In the Northwest, interest in SMRs is real and near-term. Of course, nuclear energy has enemies also, and sometimes they have to be answered. In the new blog, there will be a lot of good news to write about. I look forward to having some fun! I hope you will read Northwest Clean Energy! Vermont Yankee released its decommissioning site assessment today. It released the information earlier than any other plant has done so. It is a clear and complete report. WHAT IS THE CURRENT COST OF DECOMMISSIONING? The case that ENVY expects to file with the NRC is a SAFSTOR case with a total cost of $1,242 million over the period 2014 to 2076. In this case, the specific cost components are License Termination $817 million, Spent Fuel Management $368 million and Site Restoration $57 million. In this case, the spending for preparations (to get into dormancy) is $419 million over the period 2014 to 2020. As of September 30, 2014, market value of the Vermont Yankee Nuclear Power Station’s Nuclear Decommissioning Trust accounts was $642.6 million. That represents a doubling of the fund value since Entergy purchased the plant in 2002. It is recognized that there will be fluctuations in the fund value over time, but we watch it closely to ensure the fund remains sufficient to meet federal regulations. With VY nearing shutdown, and as a result of the new cost estimate for decommissioning, Entergy increased the decommissioning cost liability and recorded a corresponding impairment charge of approximately $0.37 per share, which will be reflected as a special item in third quarter 2014 results. Almost six years ago I attended my first Vermont Yankee-related public meeting at Brattleboro Union High School. What a circus! As an anti-nuclear Yankee protester wandered around the room loudly offering anyone and everyone popcorn from a grease-stained paper bag, a local legislator and the then-commissioner of the Vermont Department of Public Service physically wrestled over control of the microphone. Scattered among the audience, Vermont Yankee employees watched warily and quietly. Not every meeting since then was quite as lively, but almost all were contentious and adversarial. Both sides were convinced that Vermont would be better off if they won and the other side lost. The cold war began to thaw after the August, 2013 announcement of the pending plant closure. With the big question – would Vermont Yankee stay open or close? – settled, many former antagonists realized co-operation would benefit everyone. Just four months later, Entergy and the State of Vermont announced the Master Settlement Agreement (MSA). This provides a clear regulatory road for a smooth plant shutdown, decommissioning, site restoration, resolution of expensive legal squabbles, and a generous $10 million economic development package from Entergy for Windham County and the state. But like most public benefits, the MSA has conditions. For example, Vermont Yankee needs approval from the Vermont Public Service Board to build another concrete storage pad for spent fuel dry casks. In a more general sense, the spirit of the MSA assumes all sides will problem-solve in good faith and avoid harmful “my way or the highway” posturing. Such intransigence by either party could impede progress and even put the MSA and all of its benefits at risk. In contrast to my first meeting, I left the most recent Vermont Yankee-related public hearing on Thursday, September 25 with a new sense of relief, optimism, even pride as a civic-minded Vermonter. The inaugural meeting of the first Vermont Yankee Decommissioning Citizen’s Advisory Panel (DCAP) lacked the usual dubious street theater. Instead, the 19 member panel, representing 15 different stakeholders from across the Vermont Yankee spectrum introduced themselves, listened to organizational overviews by a consultant and new Vermont State Nuclear Engineer Anthony Leshinskie, saw a PowerPoint and animated film presentations on decommissioning and site restoration from Entergy, and elected its panel officers. The entire meeting was conducted with civility and without rancor, character assassinations, or grandstanding. Community members asked sharp, focused questions – but then listened intently to the answers. A Brattleboro woman asked if Vermont Yankee would donate to community non-profits at the existing level ($175,000 in 2014). Entergy senior official T. Michael Twomey said giving may decline because decommissioning does not generate revenue, but Vermont Yankee will continue to support the community. Someone concerned about aquatic life asked Vermont Yankee to stop using the Connecticut River to cool condenser tubing. Twomey pointed out the practice is permitted by the State of Vermont because it does not harm the environment. As for Vermont Yankee, its two panelists expressed appreciation with the DCAP. "I think having us as a part of the panel, along with the citizens, along with the elected officials, sends a signal that we’re all there on sort of an equal footing, so that we can have a conversation about what’s happening next at the site," Twomey said. No doubt some nights the dialogue will become heated. No doubt the DCAP will see many a robust discussion. That’s to be expected of a forum for people to ask questions, get answers, propose policy, and just be heard. But based on the initial meeting, the panelists seem to have chosen the path of mutual respect. That is a promising start. This op-ed has appeared in several newspapers in Vermont. Guy Page writes frequent guest posts at this blog. His most recent post describes the backgrounds of the members of the decommissioning advisory panel. This is a nice little pro-nuclear video, which ends with a push for the development of molten salt thorium reactors. One of the nice things about this video is the comparison between quantities of nuclear waste (tiny amounts) and solar panel waste (huge amounts). Both of these waste streams contain toxic materials. Last winter (2013-2014) the freezing weather of the polar vortex drove grid electricity prices to new heights in the Northeast. In subzero weather, natural gas was used for home heating: therefore gas-fired power plants could not obtain the fuel they needed. Utilities made up for the missing natural gas by burning oil and even jet fuel. Expensive fuels made expensive electricity. At the end of the winter, many utilities announced electricity price rises. Though the Polar Vortex caused a major temporary price rise, the Polar Vortex was not the true cause. Even without a polar vortex, electricity costs will probably rise rapidly in the near future, in many areas of the country. Cost drivers include coal and nuclear plant closings, overreliance on gas-fired electricity, and a strong possibility of increased prices for natural gas from shale. This course will use the Northeast as an example, but also address how similar issues are arising in other parts of the country. As the cost of electricity increases, electricity production and distribution companies will be faced with unhappy consumers and regulators. These companies will have to meet the challenge of explaining the price increases to their customers, regulators, and the press. They will need to be effective at describing the overall situation with regard to electricity and natural gas supply. (Natural gas suppliers will face some of the same challenges). Many energy company employees have to work with regulatory bodies or members of the public. Each person in this position should know the concepts in this course. Hockey-stick price rises are probably in the near future. People, who face the public ranging from industry lobbyists to customer service representatives, need to be ready and able to explain this price rise. Only partial cost protection is possible at end-user levels. This will probably increase local outrage against the power plants, power companies, etc. Learn three key points about the electricity supply that can be used to explain the de facto shortages and actual price rises. Learn three strategies that end-users can use to partially control their electric bills. Use discount code "MJA20" to get $20 off. Meredith Joan Angwin has thirty years of experience covering almost every aspect of utility operations. She is inventor on two patents in pollution control methods for gas-fired power plants. She was a project manager at the Electric Power Research Institute (EPRI) in renewable (geothermal) energy. In that position, she supervised building a computer code to predict corrosion in geothermal systems, and assessed the economic viability of the Los Alamos Hot Dry Rock project, and of potential projects in the Gulf Coast geopressured zone. Read More! unique to your situation, directly from our expert speaker. For years, Vermont Yankee opponents have insisted: “Let the State have more say.” A recent news article reports now that state environmental officials seem likely to find in favor of the plant. One longtime Vermont Yankee foe is fretting about the national ramifications of a looming decision by a state agency. 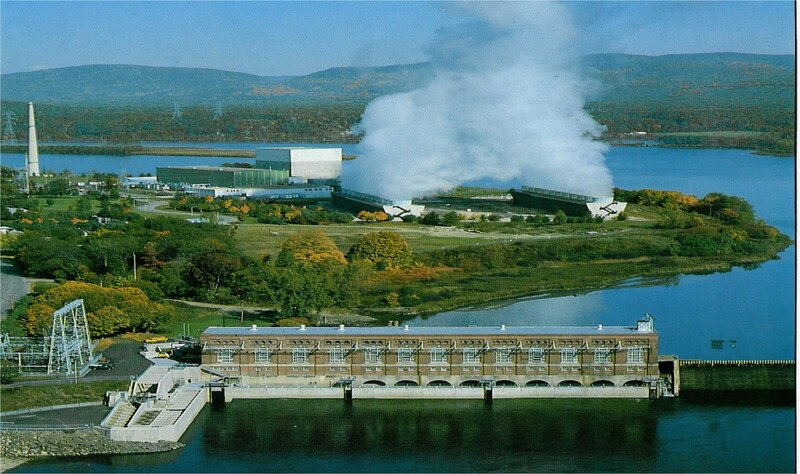 The Vermont Agency of Natural Resources plans to uphold the safe, proven practice of running cool Connecticut River water over steam-filled Vermont Yankee pipes, then discharging it downstream. The Connecticut River Watershed Council (CWRC) is concerned about the “precedent” this ruling might set. The CWRC risks inflicting economic and environmental harm to Vermonters so that it can make a national statement. The agreement between Entergy and the state to decommission Yankee will provide several more months of low-carbon, low-cost electricity – an increasingly scarce commodity in New England – followed by millions of dollars for economic redevelopment. But the State of Vermont has to keep its end of the settlement agreement for this to happen. Vermont Yankee will shut down at the end of the year. Vermont does not need to risk the financial benefits Vermont Yankee has agreed to provide so that the CWRC can make a point. This letter to the editor has appeared in several newspapers in Vermont. 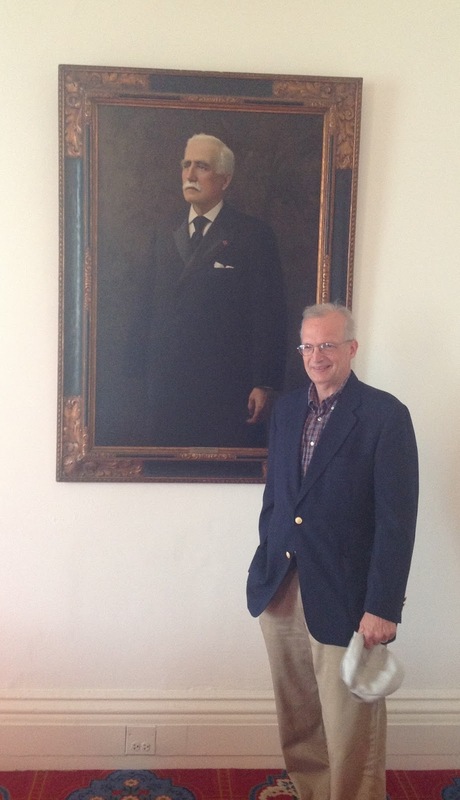 Richard January is a senior lead engineer at Vermont Yankee. 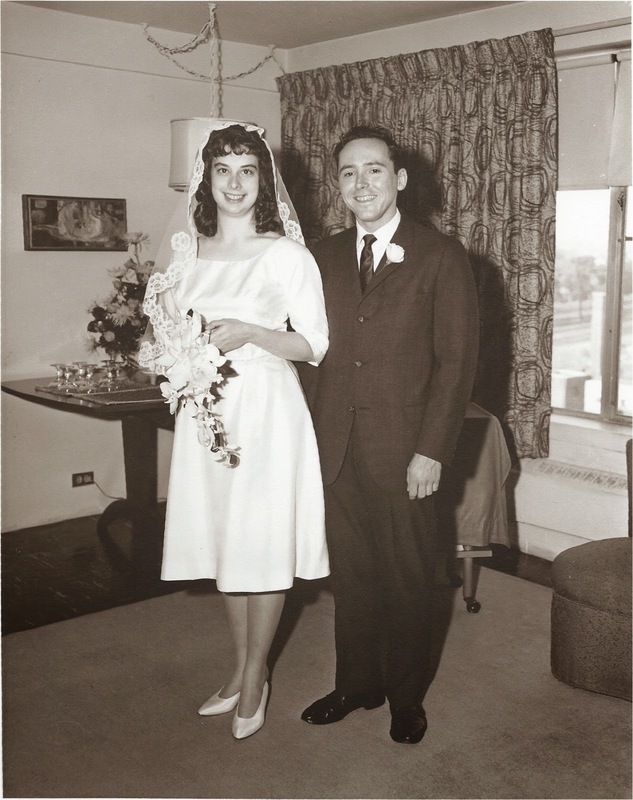 This September was our 49th wedding anniversary. I have been so lucky to have married such a good man. The anniversary is a reason to look back and to think ahead. Tonight, I am going to a goodbye party for a friend from Vermont Yankee. She is leaving for a job in Louisiana. Another reason to look back and to think ahead. I'm doing a lot of thinking nowadays. We had a modest wedding at my mother's apartment. George and I celebrating our anniversary this month. Lunch at Simon Pearce in Quechee.